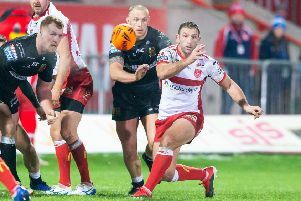 ALTHOUGH they have not made any major new signings, interestingly, a lot of eyes will still be on Hull FC when their Super League campaign kicks off in a few weeks’ time. The main reason for that is the manner in which their last campaign ended, a woeful 11-game losing run that at times left head coach Lee Radford and, in particular, chairman Adam Pearson vexed and incandescent. At its nadir – a record 80-10 loss at Warrington Wolves in August – an irate Pearson vowed to move on contracted players who had let the club down over the previous two months and bring in “three or four proper signings” by January. That has still to happen, though, and it certainly does not now look like it will do either. Perhaps, after a period of reflection it was acknowledged that, after back-to-back Challenge Cup wins in 2016 and 2017, the Airlie Birds could be afforded another chance to try and fly again. “A lot of it was a very volatile reaction and one or two got it slap bang in their face,” Pearson told The Yorkshire Post, looking back on his furious reaction. “It was fortunate for Jordan and for ourselves that we were able to find a home for him (the young half has joined promoted London Broncos). “Generally, though, you just can’t move players on; there is no domestic market for players at all and everyone is in the same boat. “There’s hardly any movement. Leeds have brought in three quality overseas players and Warrington have brought in a couple too. Yes, it was a shocking end to the season but it was on the back of two really good seasons where we won silverware for the first time in a long time. That said, as he prepares to embark on his eighth full season at the helm with an opener at Hull KR on February 1, Pearson is confident of getting the right response from the squad that remains at their disposal. Granted, they are still hampered by some injury issues which underpinned their fall from grace last term but he envisages them challenging when it comes to the business end of the season. 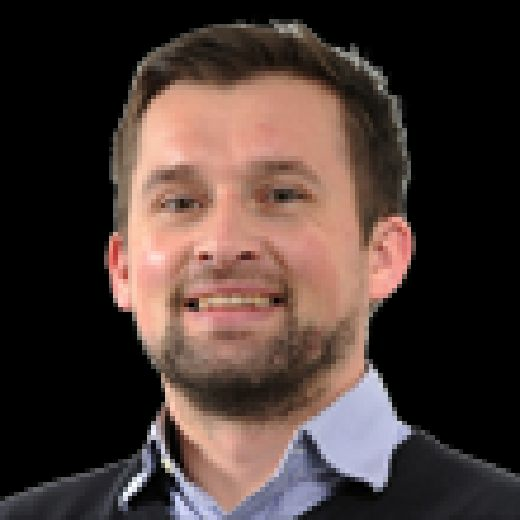 Pearson explained: “We still have some doubts about four or five players being ready for the start after they have taken longer than expected to rehab’ after operations. “We’re finding more and more get infections after their ops – it’s happened five or six times now – but we should have everyone back by round five or six. “Obviously, we’ve got a combustible start against Hull KR then a difficult game at home against Cas. I see us getting stronger as the season goes on and the players get match-fit and I think we’ll have an idea of where we’ll be by round 11. “As a supporter, I know I’ll have to be patient and it will take longer than expected as people like Joe Westerman, Mark Minichiello and Fetuli Talanoa are all taking longer to get fit. “We’re trying to keep it in context, though, as everyone around the club got a little bit too uptight about that run at the end of the year. “Yes, it was a shocking end to the season but it was on the back of two really good seasons where we won silverware for the first time in a long time. “But I have to give a big hand to all our supporters. Their loyalty has been superb. “Our membership is already up this year on what it was last and, so, they have backed the club just when it is needed the most. That’s great to see. Hull have added the likes of Oldham back-row Danny Langtree, Wharfedale RUFC winger Charlie Graham and Salford forward Levy Nzoungou. Leigh Centurions wideman Matty Dawson-Jones has also joined, while utility Jordan Thompson has returned for a second spell at the East Yorkshire club. Pearson explained: “We’ve gone down a different route and whether that’s right we’ll wait and see. “But we’ve gone for a very big squad of 38 and are one of only three Super League clubs running a reserve grade side this season. “Whereas Leeds Rhinos, Warrington Wolves and St Helens have gone for more shallow squads but more high-quality players, we’ve gone to buffer ours up. “It might need top-quality internationals added to it later but, for now, I know we will be stronger, fitter and more determined than last year and I have every confidence in that. “We deliberately set out to make it starker (in pre-season training). “There was no (training) trip to Portugal and every single player was back in on November 1. Undoubtedly, if they can get those prime players fit and firing together, Hull do still have the potential to challenge for silverware again in 2019. They have been given the opportunity to show that what happened at the end of last year was merely a blip and not a sign of a squad on the wane. It will be intriguing to see if they can make the most of that and prove to Pearson and Radford that they still have the ability and character to compete with Super League’s very best.